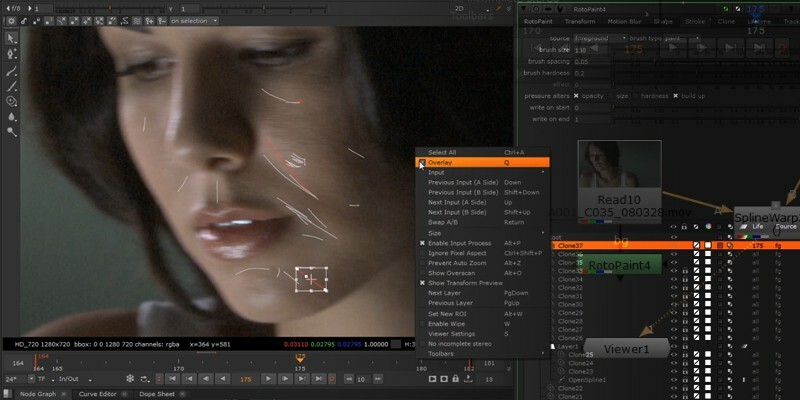 This term at fxphd, we’re running a brand new Advanced Nuke course covering “NUK301: The Dark Art of Digital Beauty Work.” This advanced course looks at the techniques used to improve the physical appearance of on-screen talent; techniques which are useful on almost every single project. Prof Nathaniel Westveer will be sharing production-proven approaches for creating seamless digital beauty, which is a mash up of various practices sometimes referred to as digital beauty work, digital cosmetics, and digital beauty retouching. To give you a taste of the course, we’ve posted the entire second class here for you to watch for free. NUK310 is one of 12 new courses running this term, along with over 100 returning courses. You can check out the full lineup on our courses page. If you’ve never been a member of fxphd, now is a great time to join for the first time. For the first week of November we have a limited time special offer that takes $100 off the price of an fxphd membership. If you wnat more information about fxphd and how it works, check out our “how fxphd works” page. Of course, Background Fundamentals also returns for ten new episodes this term. Background is our weekly magazine style ‘course’ that covers a range of topics…it is an exclusive bonus for being a member. In addition, members have access to over $40,000 worth of VPN software to help them learn the tools and build shots for their reel (non-commercial use only).